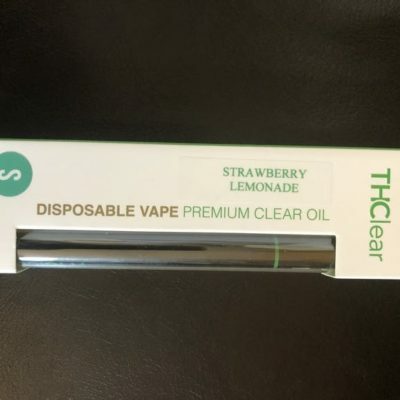 Sweet and tart, like strawberry and lemon, THClear Co. Strawberry Lemonade Disposable Pen delivers potent cannabinoids and terpenes in an on-the-go application. This disposable vape pen contains 1 full gram of pure, premium-quality cannabis distillate.